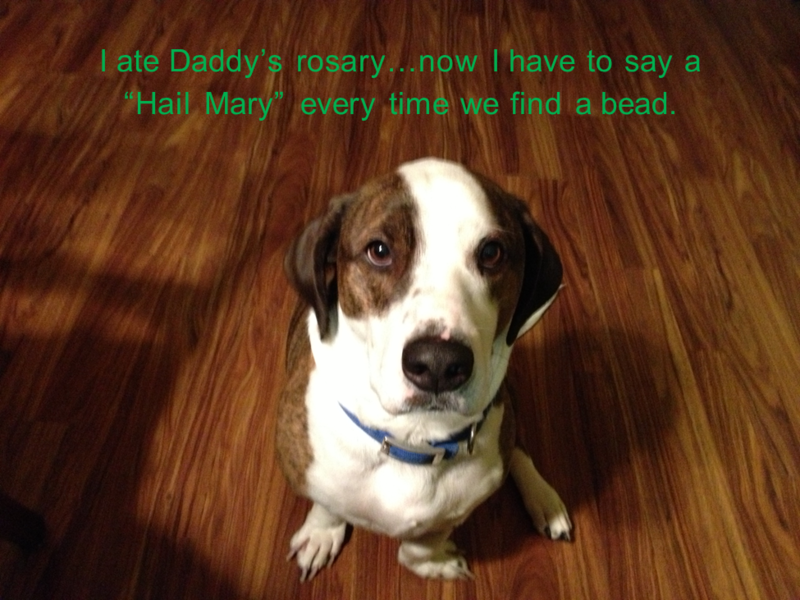 I ate Daddy’s rosary so now I have to say a “Hail Mary” every time we find a bead. OH MY GOSH! This just cracked me up so much….poor little pup….there are a whole lotta beads on a rosary! Gonna look might sad for quite some time! I agree with worldsosweet! Wittiest I have ever seen! Love this! Had to share – along with the fact that the obedience part of the rosary maybe hasn’t taken effect! Trixie that was a great comment. I see a new bright halo over his head ! One of the best posts! I bet he also had to go to confession…mea culpa, indeed! BTW: there are 53 “Hail Mary” beads, 6 larger “Our Father” beads and a cross…he’s going to be “praying” for awhile…. 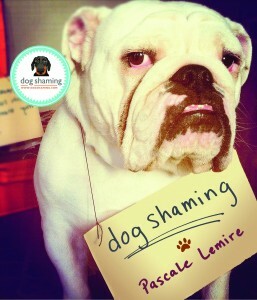 Way to go Trixie!!!! ROFL The best EVER!!! Oh my…50 Hail Marys! Sounds like the penance I got at confession as a kid. O M G…… This is too funny!! !